Beginning July 16, music fans can experience the final performance from iconic rock band MÖTLEY CRÜE during a month-long pay-per-view and video on-demand run of "Mötley Crüe: The End". The once-in-a-lifetime event — held at the sold-out Staples Center in Los Angeles on New Year's Eve 2015 — will be available through leading cable, fiber and satellite television providers in the U.S. and Canada. Also, beginning July 16, fans around the world will be able to catch all the action from MÖTLEY CRÜE's final show via a digital PPV stream of "Mötley Crüe: The End" at Motley.com. In addition to the live show fans will also be treated to behind-the-scenes footage of the band's final performance night. Completing their 35-year touring career as a band, this epic concert viewing experience gives MÖTLEY CRÜE's fans a chance to relive mega-hits such as "Kickstart My Heart", "Girls Girls Girls", "Home Sweet Home" and "Dr. Feelgood". In January, 2014, MÖTLEY CRÜE held a press conference announcing their "Final Tour", complete with a "cessation of touring" agreement signed by all members prohibiting any and all future live engagements under the MÖTLEY CRÜE name. 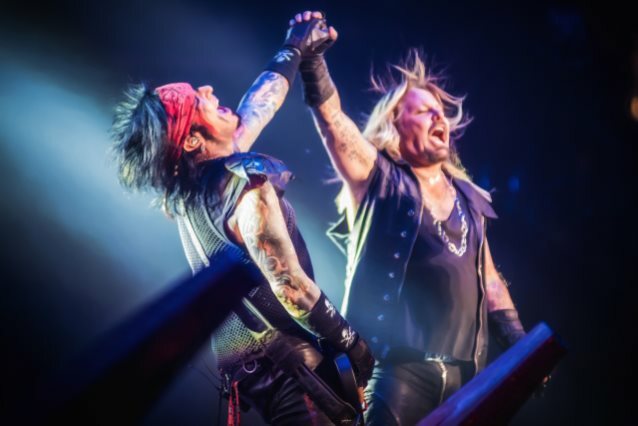 MÖTLEY CRÜE's two-year concert trek saw the band — Vince Neil (vocals), Mick Mars (guitars), Nikki Sixx (bass) and Tommy Lee (drums) — perform across five continents (North America, South America, Europe, Australia and Asia) for a total of more than 164 shows in 72 markets grossing over $100 million. Known for their over-the-top production, MÖTLEY CRÜE did not disappoint for their last show ever on New Year's Eve: from massive, cutting-edge pyro, including Nikki Sixx's bass guitar spitting fire over 30 ft. into the air, and Tommy Lee's "Crüecifly" drum roller coaster, amongst many other spectacular elements. Lead singer Vince Neil delivered an emotional "thank you" speech to the audience, while the band supplied next-level, high-octane fueled energy, ringing in the New Year on stage with thousands of balloons raining down on the crowd. The grand finale of the show included a blow-out performance of their hit single, "Kickstart My Heart" with Nikki Sixx and Vince Neil floating above the audience in far-reaching "cherry-pickers." Leaving fans in tears, the show concluded with an emotional encore rendition of "Home Sweet Home" from the second stage riser in the center of the audience. 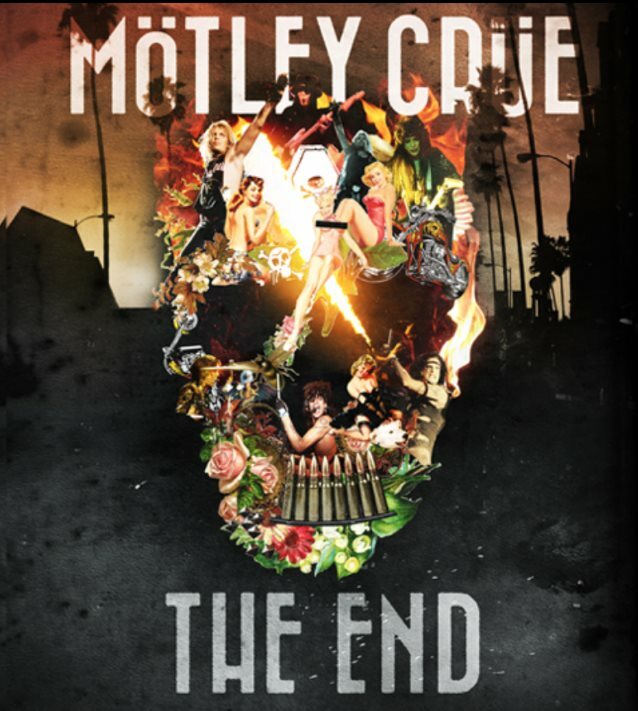 "Mötley Crüe: The End" was produced by Nate Parienti and Live Alliance, directed by Christian Lamb with Jeff Tremaine, creator of the "Jackass" series, directing the documentary segment. This exclusive pay-per-view event will be distributed by Vubiquity, the leading global provider of services connecting content owners and video providers to deliver entertainment on any screen. Vubiquity has captivated music fans (across the U.S. and Canada) through live PPV musical events including IMAGINE DRAGONS and KISS, as well as "Fare Thee Well: Celebrating 50 Year Of Grateful Dead", the largest syndication of a music PPV event in history. Check local listings for "Mötley Crüe: The End" (Rated TV-14; $19.95 SRP; 112 minutes), available from July 16 to August 15 on PPV and VOD in SD or HD.